Real Madrid's winning streak is finally over. Los Blancos lost to Valencia on Sunday, as Cristiano Ronaldo's penalty wasn't enough to continue the 22 game winning streak. The Spanish La Liga has sprung back to action after the winter break. Both, Barcelona and Real Madrid, dropped points the other night as the La Liga champions, Atletico Madrid, close the gap with a win over Levante. The title race could get intense as we have now reached the second half of the season. On Wednesday, Atletico will play host to Real Madrid at Vicente Calderon in the first leg of the round of 16 of Copa del Rey. The two sides from Madrid were the strongest teams in Europe last season and they are still dominating in both , the Champions League and the domestic league. Real Madrid have lost two back to back matches now, but one of them was just a friendly against AC Milan in Dubai. Carlo Ancelotti's side are the holders of the Copa del Rey and they will certainly do their best to retain it. Atletico Madrid's favorite son Fernando Torres is back at the club, after completing a full circle playing in England and Italy. The former Liverpool, Chelsea and AC Milan striker played a crucial part in getting Atletico promoted back to La Liga as a teenager. During his recent presentation, the Atletico fans in the stadium chanted: "El Nino brought us back, We will bring him back as well". It was a befitting tribute to their former skipper, who now looks determined to make an impact and retire at the boyhood club. Torres could feature in the match against Real Madrid, the fiercest rivals of Atletico and what a moment it would be if he gets on the score sheet. The last time these two teams met on field was in September, when Atleti won the match 1 - 2 at the Santiago Bernabeu. Cristiano Ronaldo, Gareth Bale, Isco and company are the favourites to win the upcoming match at Vicente Calderon as well as to advance to the tournament's quarter-final. No lower division sides have survived the round of 32. So, all the top flight teams will compete in the midweek games. Athletic Bilbao visits Celta Vigo, Malaga plays host to Levante, while Barcelona faces Elche. Other fixtures: Valencia vs. Espanyol; Villarreal vs. Real Sociedad; Almeria vs. Getafe; Sevilla vs Granada. 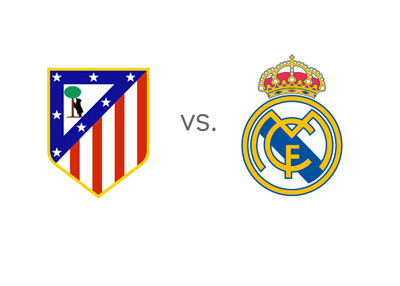 The second leg match will be played on Thursday, January 15th, 2015 at Santiago Bernabeu.